Hipex is an Australian company that specialise in the design, manufacture and installation of heat exchangers, equipment and systems for the food processing industry. Their experienced staff have knowledge in almost all areas of the food processing industry, which means Hipex get it right. The solution for cooling juice, grape must and wine is now available from Hipex!As a Maniflow heat exchanger, the Winery Cooler is specifically designed to provide a low cost solutionLow maintenance VersatileSelf-supportingEasy to add units The unique corrugated tubes allow for the heat transfer coefficient to increase significantly High turbulenceCorrugations act as expansion bellowsPressure capabilities are enhanced Enhanced CIPWith variable flow configurations and a bolt-together modular bank system, the Winery Cooler from Hipex is the ideal solution for cooling wine and juice. For a unique and innovative way to heat and circulate hot water, Hipex have the answer.Using steam, the water is heated through a corrugated tube bundle and then all condensate is returned back into the water loop Vertical orientation for better space usage Low noise levelsIntegrated expansion tank Eliminated need for separate steam trapsDue to the few gaskets and valves being used there is minimal maintenance needed on this product A standard operating flow range 2,000-60,000 l/h A standard operating temperature 20-150o C Full stainless steel wetted constructionBecause of the innovation of the circulate of hot water, this water saving and unique Hot Water Set from Hipex is the answer for water heating. 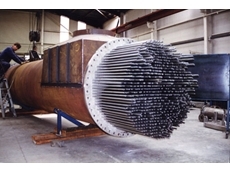 The Polytube is one of the most common heat transfer exchangers. 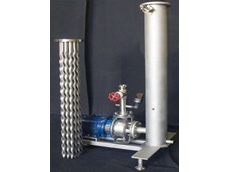 Rugged and flexible, these Polytube Heat Exchangers are available in various sizes and styles to suit any heating or cooling application.Industrial Food Processing and Oil Heat ExchangersHipex can manufacture various poly tube heat exchangers from smaller units used for food processing, to larger units designed for heating oil. Polytube is an array of tubes welded or bolted into a compact bundle within a shell Tubes are expanded and welded into the tube plates The tubes and shell are fully welded on most Hipex Polytubes as this reduces gasket maintenance and creates a tube path more suitable for food Smaller units usually have corrugated shellsThe versatile Polytube Heat Exchangers can be used for heating, cooling, steam heating or for direct expansion in refrigeration. Tube plates can be built in a variety of sizes for different termination types. Hipex provide Heat Regenerators which are designed to deliver excellence in energy efficiencies. Economically it makes sense to recover heat from a hot product stream and pass it to an incoming cold stream. Although there are many methods of recovering heat from non particulate fluids, those containing particulates such as pulpy juice from fruit or vegetables pose a problem.Energy Efficient Heating SystemsThe Hipex Heat Regenerators efficiently re-use heat by providing two opposing fluid paths which are wider than in conventional annular or wide gap heat exchangers, minimising blockages with difficult products. Hipex Heat Regenerators offer and Eco-friendly solution with superior energy efficiency Achieve energy savings while still getting the performance required in your regeneration applicationsThe impressive Heat Regenerators from Hipex provide the ideal solution to your heat recovering applications. 30/09/10 - Rugged and flexible, tube heat exchangers from Hipex can be produced in sizes and styles to suit any heating or cooling application, especially where steam is the heating medium. Tube heat exchangers are constructed from an array of tube which are welded or bolted into a compact bundle within a shell. The tubes are then expanded and welded into tube plates, which in turn are welded into the shell. 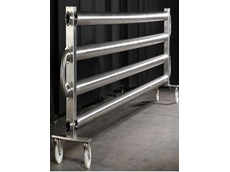 Most Hipex tube heat exchangers utilise fully welded tubes and shells to reduce gasket maintenance and create a tube path that is more suited for use with food. Smaller units commonly have corrugated shells, with units that have a diameter exceeding 150mm featuring a plain shell. These tube heat exchangers can be used as:heaterscoolers steam heaters; or as direct expansion units using refrigeration. Headers can be produced to enable these units to be either single or multipass on the tube (product) side. Tube plates are constructed in a wide range of sizes and for different types of terminations. Hipex uses NC, computer controlled equipment to quickly and accurately produce tube plates that are specifically designed for a particular application. 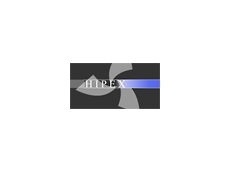 29/09/10 - Hipex now has a premises devoted entirely to providing research and development services, which is available for use by customers. The new Hipex property is fully equipped with a 40 HP boiler, 30 Ton Chiller and a 40 Ton Cooling Tower to enable full scale production tests. In addition to full scale tests, Hipex has developed the mini UHT pasteuriser, which is also installed at the facility, providing options for processing batches as small as two litres while simulating actual production results. Also available is a large range of pumps and homogenisers, as well as all laboratory measuring equipment including tube and rotary viscometers. This equipment allows Hipex to offer a complete range of research and development services, with all data from tests that are carried out automatically logged with a sophisticated, custom-designed data logging system. The facility offers customers valuable research and development services, allowing them to reduce product development time and cost. Experienced staff are available for assistance if required, to help to reduce test times. 28/09/10 - A wide variety of food processing plant automation systems are available from Hipex, catering to applications from the smallest mini UHT to full scale production plants. Hipex can customise a solution that meets both production and cost requirements, incorporating various systems such as SCADA packages and touch screens. As well as increasing operational simplicity, these plant automation systems can be monitored remotely by engineers at Hipex, with any necessary changes to plant operation made via modem. Any problems, then, can be corrected without the delay and expense of a site visit. SCADA plant automation systems constitute a complete and dynamic graphical interface that is easy for operators to understand, making training and plant control simpler and more efficient. SCADA software packages will run on a standard desktop PC which is attached to the PLC controlling the plant, allowing for the use of large computer screens to maximise the amount of plant condition information that can be displayed at any one time. Panel mounted touch screens provide a cheaper alternative to a SCADA package. While these were originally only supplied in low resolution monotone models, a range of high definition screens capable of 256 colours is now available in a variety of sizes. 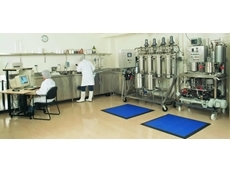 27/12/07 - Hipex provides various services and solutions in the area of heat exchangers for food processing industries. The major services provided include unit repairs, automation, problem solving advice, reselling and dealing second hand units. As a part of its manufacturing function, Hipex stocks a wide range of spare parts, which is leveraged to provide spare parts to customers as a support service. 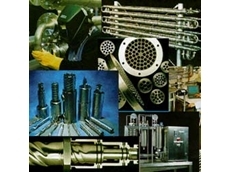 The common spare parts traded by Hipex include those for heat exchangers, pasteurisers, mini UHT plants as well as those units that are no longer sold by Hipex. In addition, Hipex stocks service kits, seals and o’rings made of viton grade rubber. Other grades, including EPDM, PTFE and Nitrile, are provided based on customer requests. Apart from heat exchanger spare parts, spare parts for Bardiani valves and pumps are available from Hipex. As a part of unit repair services, Hipex services heat exchangers if their performance deteriorates with continuous usage. Hipex tests and repairs the unit at its special testing facility, which is situated at its manufacturing premises. In certain cases, Hipex also undertakes on-site servicing. Hipex is equipped to handle servicing for all the heat exchangers it manufactures as well as tubular corrugated heat exchangers. As part of its reselling service, Hipex buys back old units from its customers when they look for replacing the equipment. At the same time, Hipex provides second-hand equipment to those customers looking for a cheaper replacement alternative.